Evlution Nutrition – EVL TEST Testosterone Support? EVL TEST is a next-generation training and recovery amplifier that provides you with numerous health and fitness benefits. It can be used by bodybuilders, athletes of any caliber, as well as the everyday gym-goer who is looking to take their training and results to the next level. EVL TEST provides the individual with a precise dosage of ingredients to naturally increase testosterone production and levels in the body. Additionally, it helps improve your overall quality of sleep so you can properly rest and recover from your grueling workouts and wake up feeling refreshed and ready to take on the day. 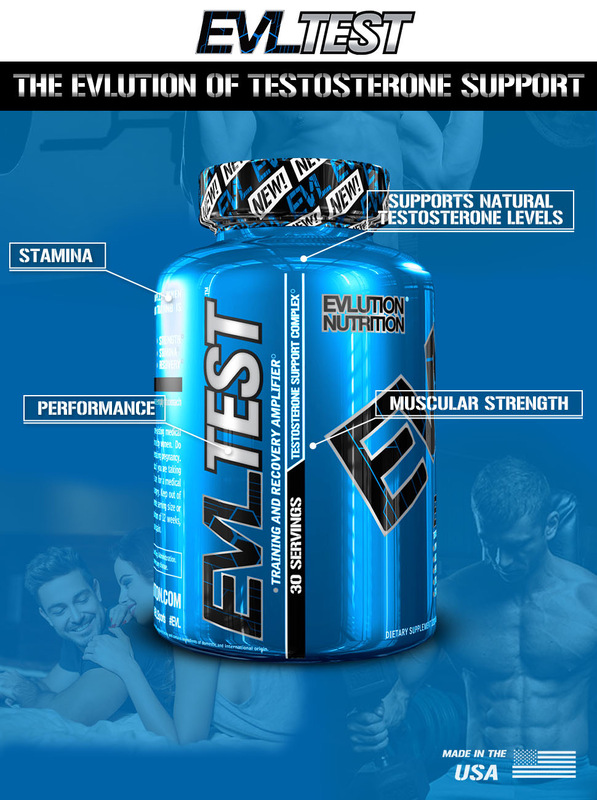 EVL TEST left no rock unturned when it comes to providing you with optimal and healthy natural testosterone levels. While the product doesn’t provide exogenous levels of testosterone, it does help your body naturally increase its own production to give to the physique and strength goals you desire along with supporting optimal sleep. Every facet of TEST goes hand-in-hand to provide you with the most unique training and recovery amplifier on the planet.